At first, I was a little worried when I cut into it because the outside was pretty crisp. 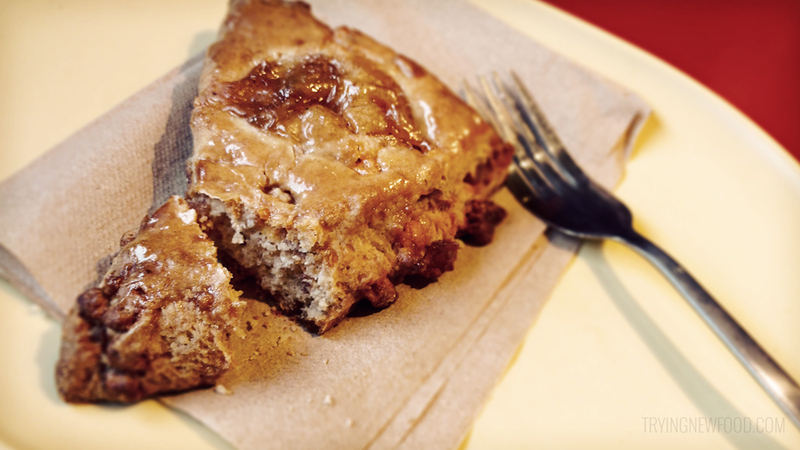 Luckily, it was slightly crumbly inside with chewy, caramelized apple cubes and fall spices throughout. On top was a delightful caramel icing and a pleasant amount of apple filling. I absolutely loved this scone! It reminds me of a classic apple pie. One scone has 490 calories, so I split this with my husband. This scone would go great with coffee, tea or a hot chocolate. Additional details are on Panera’s site here.